At H2O International SA, we believe in bringing the benefits of purified water to everyone in South Africa – including those people living in communities where water is scarce and of very poor quality. In order to achieve this, we partner with and support Wishing Well International Foundation (WWIF) and Wishing Well International SA in their mission to bring clean, safe, drinking water to communities in developing areas. 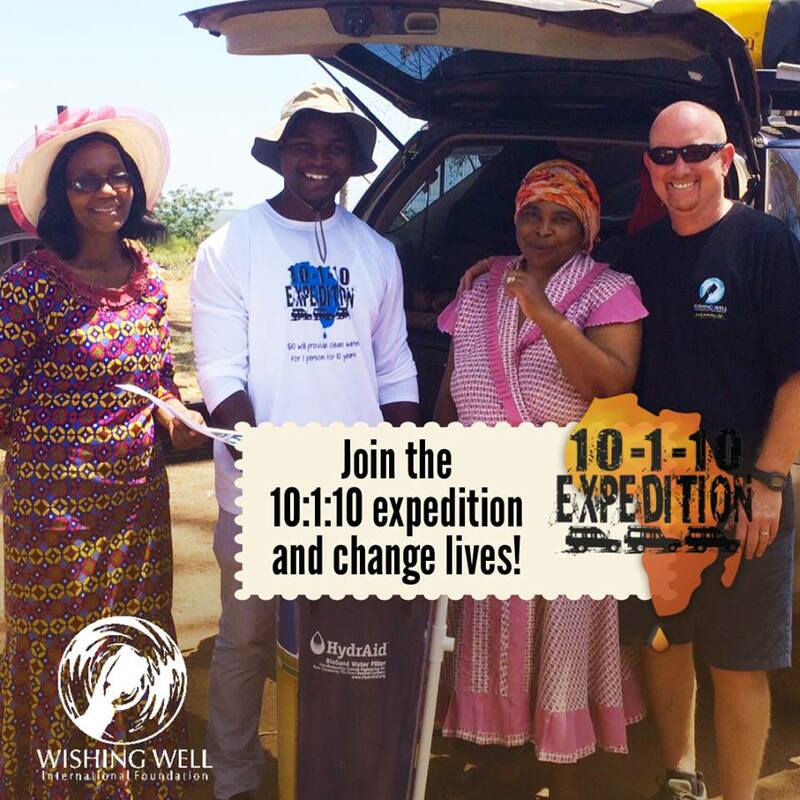 We have recently successfully completed a mini-expedition with Wishing Well International SA across Southern Africa and into Swaziland. We deployed over 30 filters, bringing a constant supply of clean, purified water to thousands of people including over 2000 school children. This mini expedition paves the way for a much larger, full-scale deployment in 2017 where many more filters will be deployed. To play a role in this expedition donate today, every cent makes a difference! Should you wish to find out more information, please contact Ken Lister on 0800 49 28 37.